The glaciers in the Indian Himalayas have great significance whether it is religious or adventurous. 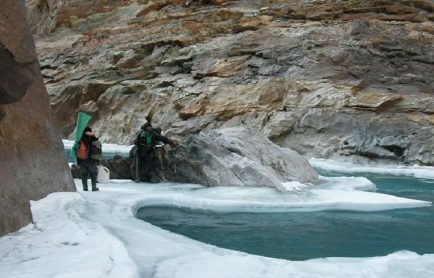 These glaciers turn into different sacred rivers that can be bowed by tremendous devotees. But besides this these glaciers are the perfect way of exploring yourself by digging into different trekking tours in India. Catch some of the best glacier trekking routes in India that brings energetic and impressive expedition to the great Himalayas. Gangotri Gomukh is the origin of the river Ganges and the seat of Goddess Ganga, famously being popular as one of the Chardham circuits in Uttarakhand. Gomukh is one of the holiest places for the Hindu devotees and also brings the great trekking opportunities for the enthusiastic travelers. The trek takes you to Gomukh (cows mouth), the mythological source of the River Ganges, which is at the snout of the Gangotri glacier. The Gomukh Glacier trekking covers the area of the Garhwal Himalayas at an altitude of 4463 mts/4638 ft. 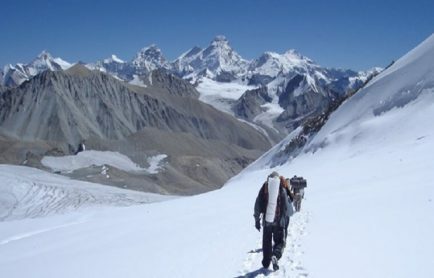 The normal duration of Gomukh glacier trekking is about 8-11 days and it brings moderate to challenging kinds of trekking. The best time for this trekking is May-June & August-November. The trek will give a complete experience, right from self supported journey to camping in deep Himalayas. The Pindari Glacier is found in the upper reaches of the Kumaon Himalayas to the South-East of Nanda Devi. It is the most easily accessible glacier in the Kumaon region and has a beauty of its own. River Pindar originates from this Glacier and flows down to confluence into the river Alaknanda. The trekking route to the glacier tracks along the southern wilderness of the Nanda Devi Sanctuary offering some beautiful views of peaks like Panwali Dwar (6683m) and Maiktoli (6803m). A trek to Pindari Glacier is a “soft adventure” experience and well within the capacity of any trekker amply rewarded by the magnificence and grandeur of the towering Himalayas. The trekking route at the Pindari glacier takes you to the pristine village of Loharkhet. The best time to the Pindari Glacier lies between the month of May-June and September and October. Located in the Tehri district of Garhwal Himalayas, the Khatling Glacier is the source of river Bhilangna. It is surrounded by snow peaks of the Jogin group (6466 m), Sphetic Pristwar (6905 m), Barte Kauter (6579 m), Kirti Stambh (6902 m) and Meru. At an altitude of 400 meters Khatling trekking is the moderate to tough kind of trekking that starts from Ghuttu is easily approachable by motor from Dehradun, Tehri, Mussoorie and the Rishikesh railhead. The trekkers need to trek about 45 km and pass through remote villages with thick Kharsao forest and wide open beautiful lush grassy meadows. The entry to the Bhilangna valley provides excellent spots for camping. Tents and sufficient provisions should be arranged in advance from Rishikesh, Tehri and Dehradun. The best time to experience it between Mid June-Mid Oct that last up to 11 nights/12 days. One of the biggest glaciers of the Kumaon, Uttarakhand ranges with a distance of 28 km. 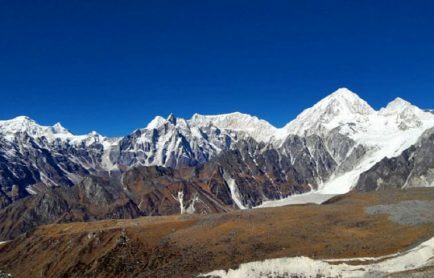 It originates from the slope of Kohli and Trishul peaks and situated on the south facing slope of the main Himalayan range. At an altitude of 4267 mts, and spread of around 37 sq kms is the mighty Milam glacier that brings a perfect trail for trekking. The Milam Glacier trek is the moderate trekking experience in India that can be covered between 12-13 days. A camping and tenting experience can be enjoyed here wonderfully. The Kaphini (Kafni) Glacier lies left of the Pindar Valley below the famous peak of Nandakot and is among one of the famous trekking tours in India. The route to Kaphini Glacier covers the same track up to Dwali, as the track to Pindari. Though Pindari is the most popular tourist destination, some people find route to this glacier more beautiful. Unlike Pindari, tourists can trek up to the glacier. The major trekking routes are Bageshwar, Song, Loharkhet, Khati, Phurkia, Zero Point, Dwali, Kafni, Dhakuri and Kathgodam. 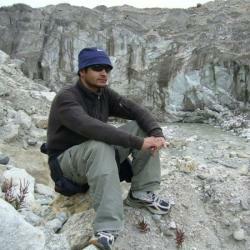 In case of Pindari, the trek beyond zero point becomes very tough and cannot be done without proper equipment. It’s undoubtedly an easy kind of trekking for most of the expeditors. So this time if you are in India and thinking for some adventurous and thrilling kinds of expedition, the glacier trekking in India is the perfect choice for you. Make great arrangements for it and get ready for the excitement coming your ways.